One of the major trends in tourism today is the desire of the tourist to have a learning experience as a part of the vacation. A recent survey found that half of North American travellers want to visit art, architectural, or historic sites on vacations, while one-third would like to learn a new skill or activity. Today’s travelers are seeking experiences that provide them with a greater insight, increased understanding, and a personal connection to the people and places they visit. Learning and enrichment travel refers to vacations that provide opportunities for authentic, hands-on, or interactive learning experiences, featuring themes such as adventure, agriculture, anthropology, archaeology, arts, culture, cuisine, education, forestry, gardening, language, maritime culture, mining, nature, science, spirituality, sports, wine, and wildlife – to name only a few! 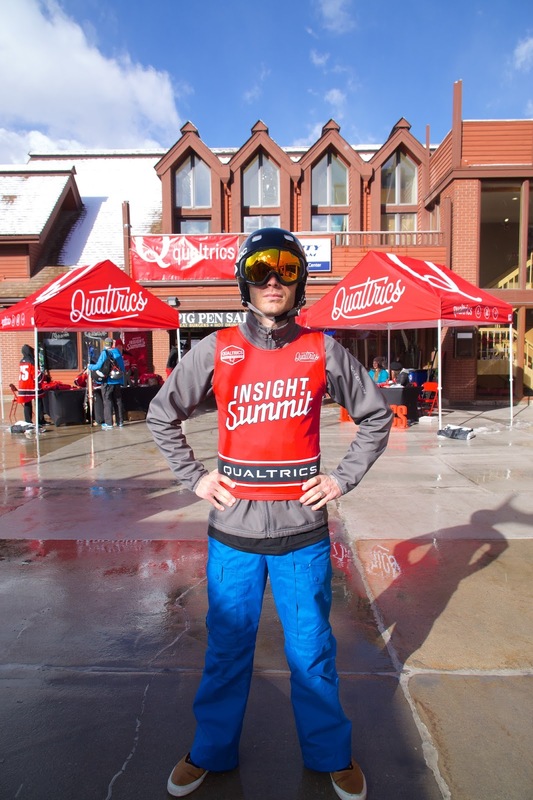 The ski industry is responding to this trend by offering a number of programs that combine winter sports and learning opportunities. A good example is The Learning Curve Institute in Europe that offers Snowboard & Ski Language Camps for students from all over the world to meet new friends through skiing or snowboarding whilst also becoming fluent in a foreign language. 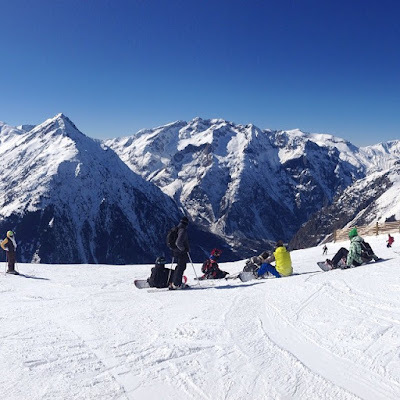 Students are fully immersed in either French or Spanish for the duration of the camp, which takes place in Les Deux Alpes, France, and they receive daily ski and snowboard tuition in the language they are learning. The ethos of the camps is ‘learning, safety and fun’ with an emphasis being put equally on each of these three core aspects. In the last few decades, responsible tourism has emerged as a significant trend in the Western world, as wider consumer market trends towards lifestyle marketing and ethical consumption have spread to tourism. Tourism organizations are beginning to realize that promoting their ethical stance can be good business as it potentially enhances a company’s profits, management effectiveness, public image and employee relations. International leisure travelers are also increasingly motivated to select a destination for the quality of its environmental health and the diversity and integrity of its natural and cultural resources. Studies indicate that environmental considerations are now a significant aspect of travellers’ destination-choosing process. According to a study in 2012, the ‘green’ travel trend is gaining momentum, as 71 per cent of travellers surveyed said they planned to make more eco-friendly choices in the ensuing 12 months compared to 65 per cent the previous year (TripAdvisor, 2012). In response to these trends, the ski industry as a whole is recognizing the need to strive toward adopting environmentally-friendly policies and practices. A number of individual tourism industry associations, such as the Banff Lake Louise Tourism Bureau, the Ontario Snow Resorts Association (Rutty et al., 2014), and individual ski resorts in Canada and the U.S.A., have shown leadership on climate change by voluntarily adopting greenhouse gas (GHG) emission reduction targets. 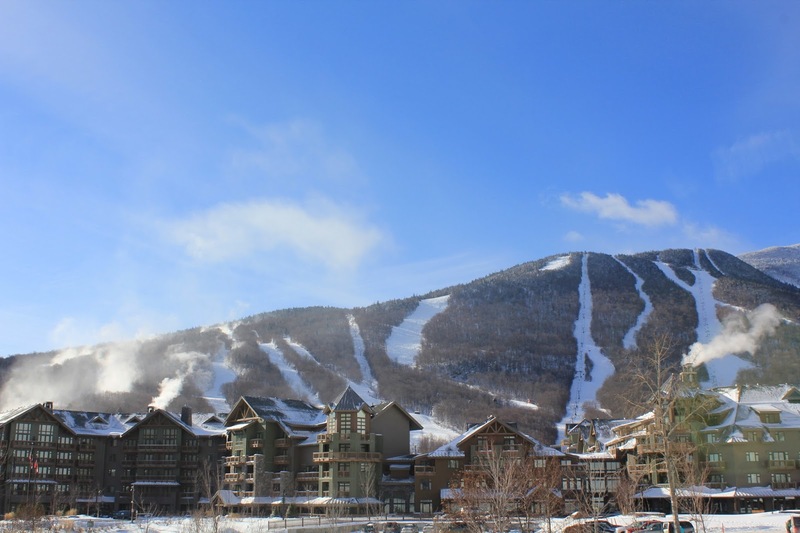 Other ski resorts in North America have signed up to the Sustainable Slopes Charter (adopted by the U.S.A. ski industry in 2000), which provides an overarching framework for ski areas regarding sustainability and enhanced environmental performance. Consumers are increasingly health-conscious, and in the U.S., the market segment that is focused on health and fitness, has been labeled the LOHAS segment. LOHAS is an acronym for Lifestyles of Health and Sustainability, and describes an estimated $290 billion marketplace for goods and services focused on health, the environment, social justice, personal development and sustainable living (French & Rogers, 2010). Research shows that one in four adult Americans is part of this group—nearly 41 million people. A more health-conscious society is often attributed to the influence of the baby boomer. Baby boomers are generally healthier, financially better off, better educated, and more interested in novelty, escape, and authentic experiences than were previous cohorts of older people. But younger generations, too, are health and wellness focused. Millennials, for example, are dieting less frequently than other generations, but consuming fewer calories daily. They spend money on gym memberships, running gear and energy bars and seek out specific health foods like whole grain breads, nuts and seeds, and quinoa (Forbes Consulting Group, 2012). This generation is also driving the demand for self-tracking technologies (Ericksson Consumer Lab, 2013). 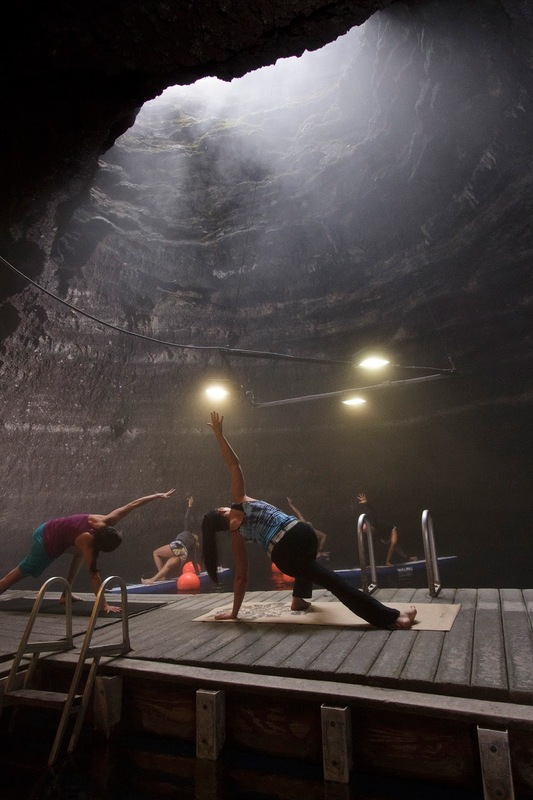 The tourism sector is responding to this health-conscious trend with health and wellness centers springing up in many destinations. 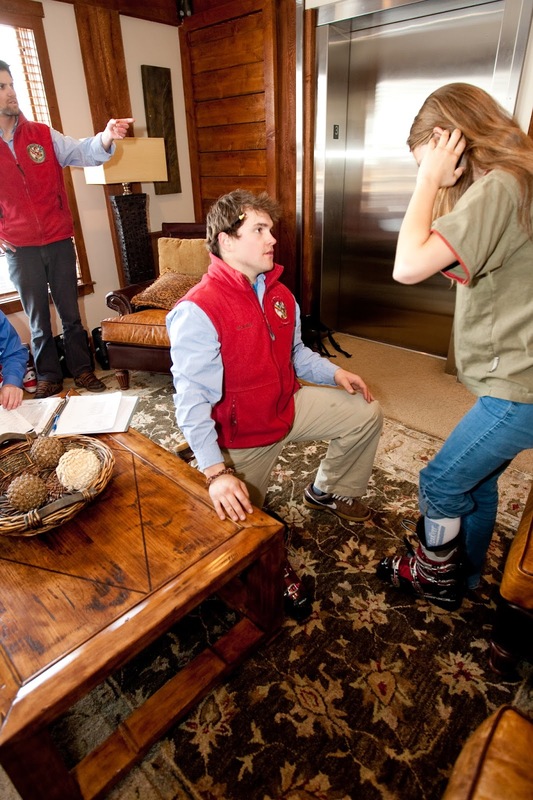 Mountain resorts, for example, are combining alternative health and wellness services with winter sport tourism. 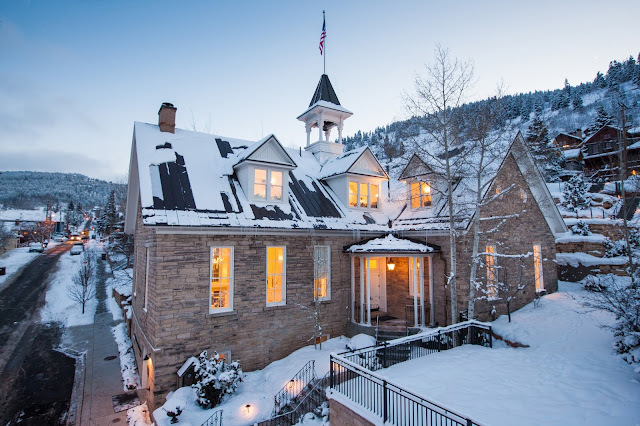 The Montage, Deer Valley, for example, has a signature spa treatment called SURRENDER that creates a customized regimen for each guest which is transferable to other Montage properties. The Montage is also responding to the demand for healthier foods. Culinary teams collect copious notes on dietary restrictions of customers so that associates can address the guests in advance of their orders when they come to the tables, helping reassure guests that they are recognized and that their dietary needs are being taken to heart in preparing their meals. 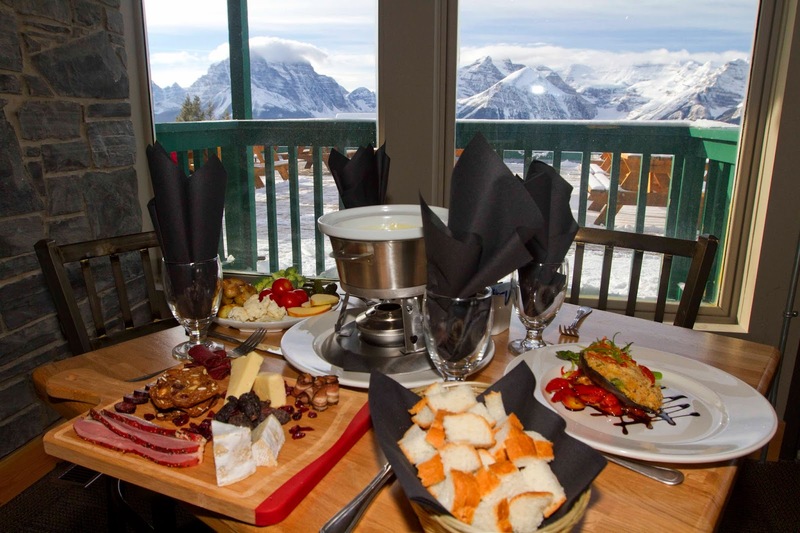 In keeping with this trend, ski resorts in general have been improving their restaurant and café offerings over the past decade, adding vegetarian, vegan, gluten- and dairy-free options, emphasizing local and fresh ingredients. There has been a gradual movement away from the more typical fast food fare in North American ski resorts, towards the fine dining that has traditionally characterized European resorts - for example, Lake Louise's Whitehorn Lodge and, brand new this season, Kuma Yama Sushi Bar. The Grand America also has a ‘Grand Ambassador’ whose role is to ensure that all repeat guests are recognized appropriately. “Our operating system will track all of our guest preferences, and our Ambassador then reviews all reservations and prepares for these requests,” says Fitzgerald. Requests can range from a preference for a special room or view, to the type of linens a guest requires to be comfortable. “All of these things make the Grand America truly a home away from home and ensure the retention of our guests”. The increasing desire for convenience and speed is having a great impact on various sectors of the tourism industry. In the restaurant sector, drive-through sales are on the rise; in transportation, self check-in terminals are increasingly popular; and in accommodation, business travellers are seeking convenient rooms for shorter stays. An example of the latter is the hotel concept introduced at Heathrow and Gatwick Airports in the U.K. Owing much to Japanese ‘capsule hotels’, Yotel cabins are a cross between a hotel and a first-class airline seat. Each self-contained cabin has a double rotating bed, and facilities include an ensuite bathroom with shower, a flat-screen television and a pull-down desk. The desire for spiritual enlightenment on a vacation has led to a boom in religious tourism. Even monks are taking advantage of this growing trend. Monasteries and temples provide the perfect backdrop for peaceful periods of mediation, prayer and reflection for world-weary business men and women. Often set in beautiful scenery, more religious institutions are jumping on the tourism bandwagon and opening their facilities for one– to three–day stays. South Koreans, for example, have around 36 different Buddhist temples to choose from for their retreats from everyday life. 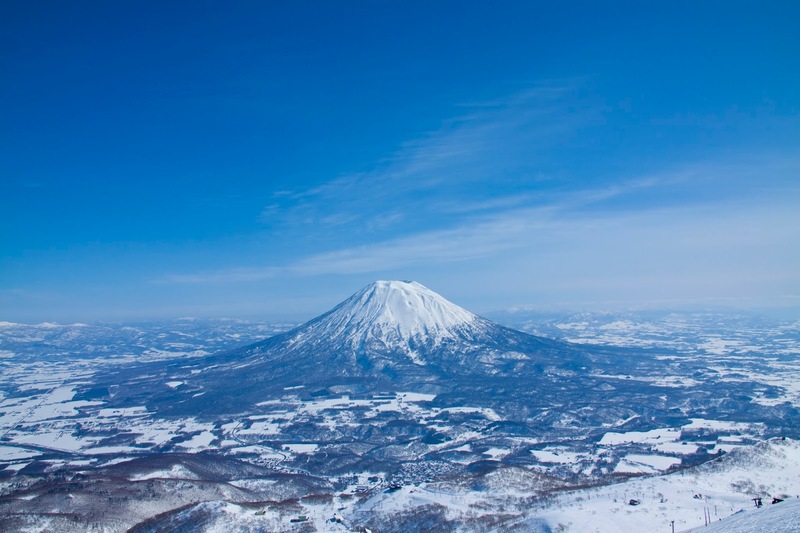 The notion of combining religion and tourism is also gaining momentum in other countries, notably Japan, where the Wakayama region is attracting daytrippers from Kyoto and Nara. Visitors can also stay overnight in rooms ranging from simple to luxurious. With views of the Pacific from ancient forest trails, tourists learn about Shinto and Buddhist theory by day. By night, accompanying their vegetarian meals served by the monks, guests can also enjoy sake and beer. The Internet has upended how consumers engage with ski resorts. After visiting, they often enter into an open-ended relationship with the resort, sharing their experiences online through social media. Tourists are also demanding constant connectivity, and resorts are responding to this with destinations like Alpendorf and Sölden in Austria installing free Wi-Fi access points within their entire ski areas. Alpendforf’s website boasts “with over 300 Wi-Fi hotspots in the Ski amadé you will be able to access the internet no matter where you are.” Val Thorens in France also offers free Wi-Fi through Aerohive Wi-Fi terminals. “We want to offer our users quality optimal service in order to improve their stay in the resort. We anticipate their needs by providing them with Wi-Fi access in our ski lifts,” says Eric Bonnel, SETAM ski lift company's sales and marketing manager (Val Thorens United, 2014). We are also witnessing a new mobile lifestyle (Roberti, 2011) that is revolutionizing where, when, and how we communicate personally and with businesses. Skiers and snowboarders are much more likely to own mobile devices than are general U.S. travellers, and such high mobile device ownership affects the entire ski travel life cycle: ski travellers are more likely to research, shop for and share their ski travel experiences through their smartphones and tablets, and the ski and travel industries must be prepared to reach and influence these higher-spending travellers across mobile media. The lines between business and leisure travel are becoming increasingly blurred. A recent Expedia study found that 56 per cent of Millennials expand their business trips into leisure trips (Newcombe, 2014). Mobile devices are having a profound effect on the traditionally defined silos between managed and unmanaged travel. A recent study found that 43 per cent of international travellers always take their mobile professional devices with them on holiday or on weekend trips (Ali et al., 2013). This presents new opportunities for airlines, hotels and destinations alike, all of which have to configure their services to be flexible. Conference and meeting planners also have to be cognizant of these changes, ensuring that they incorporate an element of leisure when they plan their meetings. An example is a conference organized by research specialists, Qualtrics, at Salt Lake City in February 2015 which included a day’s skiing in Park City. 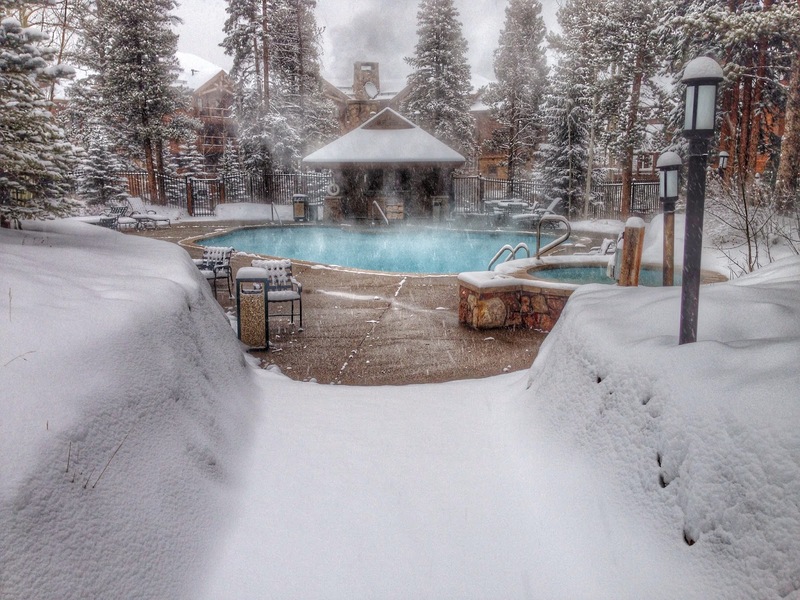 Ski resorts are recognizing this trend and are aggressively targeting business travelers. The Edelweiss Hotel at the foot of the Alberg in Austria, for example, promotes itself as the ideal conference or business incentive destination. Promotional material promises seminars and incentives in the Arlberg that “will leave an unforgettable impression on all participants. Enhance motivation, loyalty and team spirit in an Incentive in the Arlberg: While skiing in, while dining together and while relaxing and celebrating in the bars and lounges.” Ski destinations are also equipping themselves to satisfy the technology demands of business travelers. Tour operators, too, are catering for travellers who want to combine business with time on the snow. Travelplan Ski Holidays, based in Australia, for instance, offers a range of conferences for professionals in some of the world's best ski resorts. 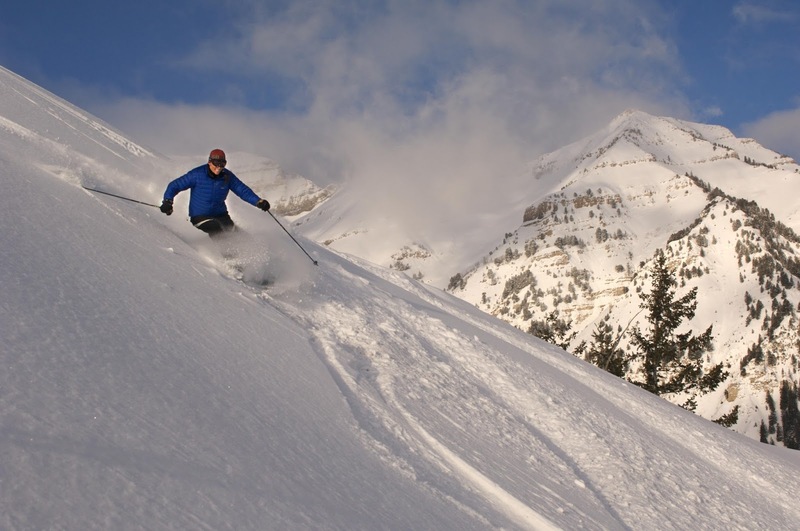 Over the years Travelplan has offered a variety of specially designed conferences at ski resorts such as Aspen Snowmass, Fernie, Whistler Blackcomb, Sun Peaks and Steamboat “that ensure you maximize your skiing time whilst you learn”. A key innovation in today’s business is experiences. Firms across a variety of industries from health care to airlines to automobiles are developing strategies around providing meaningful customer experiences (Schmitt, 2003). The ‘experience economy’ was a term coined by Pine and Gilmore (1999) to describe the business of selling experiences. They described experiences as a fourth economic offer, one that is distinctly different from the traditional commodities, goods and services that drive economic growth. Using a theatrical analogy, they describe ‘services’ as the stage used to create experiences and ‘goods’ as the props that are used in planning and sequencing a series of memorable events. Pine and Gilmore provide examples of how large companies like Walt Disney welcome guests, engage visitors, and provide an endless array of interactive experiences. In an environment of ever more sophisticated consumers, those who deliver memorable customer experiences consistently create superior value and competitive advantage (Voss, 2003). Some of the benefits of delivering experiences are happy customers, repeat business, increased sales, enhanced brand identity, free marketing via word of mouth referrals and the creation of an emotional bond with customers. The benefits of creating experiences for customers is gaining momentum and demonstrating its business value in the tourism industry. In 2002, the World Tourism Organization reported a shift from active holidays to holidays as an experience (Klancnik, 2002). A survey sponsored by American Express found that the number one ranked ‘most-memorable experience’ for consumers was connected to a holiday (Buhasz & Bisby, 2005). Demand is growing for authentic travel that engages the senses, stimulates the mind, includes unique activities, and connects in personal ways with travelers in an emotional, physical, spiritual or intellectual level. A related trend is ‘experience caching’ whereby consumers continually collect, store and display their experiences for private use, or for friends, family, even the entire world to peruse. 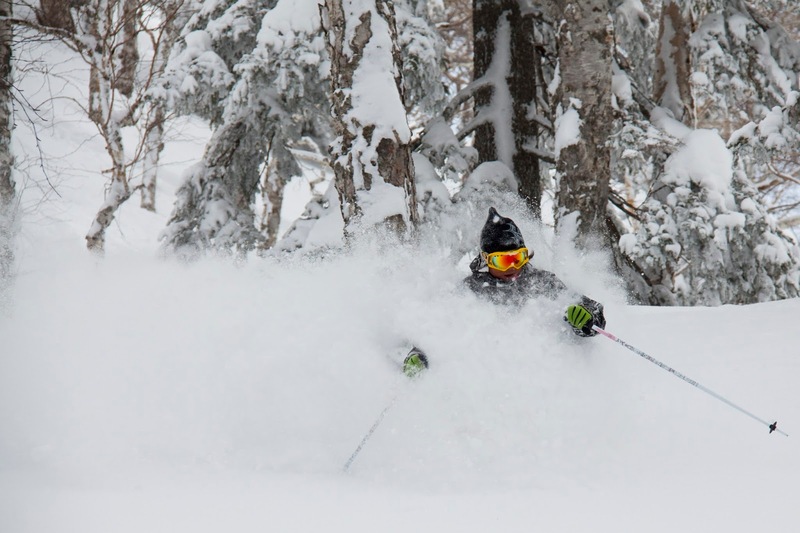 The ski industry is responding to these demands, as it is naturally keen to attract new customers, repeat guests, and meet the needs of niche and mainstream markets interested in experiential travel. These companies are experience providers who sequence and stage carefully choreographed activities, personal encounters, and authentic experiences, designed to create long lasting memories, engaging travel, and increased customer loyalty. A good example can be found at the Washington School House in Park City Utah. 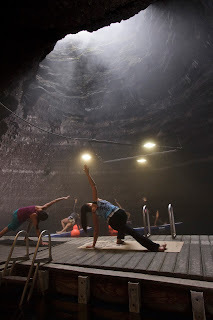 Apart from winter sports, the hip town's newest luxury boutique hotel, offers guests one of the most unusual winter activities with yoga deep inside a 10,000-year-old crater at The Homestead Resort. The instructor demonstrates yoga poses from the dock while guests move and bend on paddleboards that float in the 90-plus-degree natural therapeutic pool. And to satisfy demand for ‘experience caching’, the hotel produces a motion picture for guests with a snapshot of their entire trip. A videographer snaps photos and film a day’s worth of live footage, and following the visit, guests receive their very own edited feature film and photo book. Merry Christmas to all my fellow skiers and snowboarders! The origins of skiing are open to debate. In the Altay Mountains of China, a handful of petroglyphs have been discovered depicting archaic skiing scenes, including one of a human figure on skis chasing an ibex. But since petroglyphs are notoriously hard to date, it remains a controversial clue in the debate over where skiing was born (Jenkins, 2013). Chinese archaeologists contend it was carved 5,000 years ago, but others say it is probably only 3,000 years old. The oldest written record that alludes to skiing, a Chinese text, also points to the Altay, but dates to the Western Han dynasty, which began in 206 B.C. Norwegian archaeologists have also found ski petroglyphs and, in Russia, what appears to be a ski tip, carbon-dated to 8,000 years ago, was recently excavated from a peat bog. Each country stakes its own claim to the first skiers. What is widely accepted, however, is that whoever first strapped on a pair of skis likely did so to hunt animals (Jenkins, 2013). Documentation of skiing’s earliest emergence as a leisure pastime associated with tourism dates back to the mid-nineteenth century in Europe. There are references in 1868 to Norwegians travelling on skis from Telemark to Christiana (now Oslo) primarily for social purposes. Almost two decades later (1890), recreational skiing emerged in North America (Scharff, 1974), and soon after, socially-focused skiing clubs began to develop across Europe and North America, facilitating the creation of more and better ski facilities (Batchelor et al., 1937). 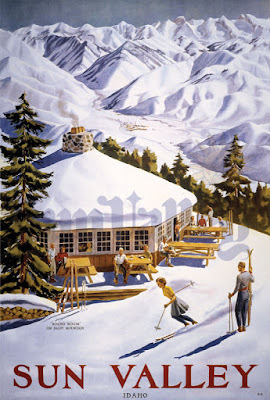 It is believed that winter mountain holidays started after 1866, when an hotelier in St. Moritz,Switzerland, invited a small group of British summer guests to visit his property during the winter months (Cockerell, 1988). On their return, this group enthused so much about their trip that it soon became fashionable among the British upper classes to take a winter holiday in Switzerland. In those days there were no lifts, so considerable time was spent walking and climbing mountains but, in the winter of 1910-11, Sir Henry Lunn managed to persuade the local authorities in Mürren to open the Lauterbrunnen-Mürren railway line. The Lauberhorn drag-lift opened the following year. Lunn was then responsible for organizing the first-ever downhill race in Montana, Switzerland in 1911. Meanwhile the 1905 Olympic games had included skiing in its program of activities despite skiing not being a recognized Olympic sport. At this time, not only was there a growing interest in skiing as a participant sport, but there was a desire on the part of destination managers and developers to keep resorts operational for an entire winter season. In the process of developing this strategy, the concept of a broader set of physical facilities and a more sustainable market base for skiing development is believed to have originated (Williams, 1993). By the beginning of the First World War in 1914, there were at least as many German skiers in Switzerland as there were British, and these two countries today still provide a large proportion of outbound winter tourists. In 1924, skiing was introduced as a formal event at the Olympic Games in Chamonix, France, and was highlighted again in the 1932 Olympic Winter Games in Lake Placid, U.S. These two events helped place skiing at the forefront of winter recreational activity in both Europe and North America and gave a further push to its development as a major contributor to winter-based tourism (Liebers 1963). In 1929, the first mechanically-propelled uphill lift designed solely for skiers was installed in Canada, and within a few years most ski slopes of any significance in North America and Europe had one or more such lifts in place. Snowtrains transporting thousands of skiers to the slopes became commonplace throughout North America in the 1930s. In 1936 Union Pacific developed the first tourism-oriented ski resort in SunValley, Idaho. 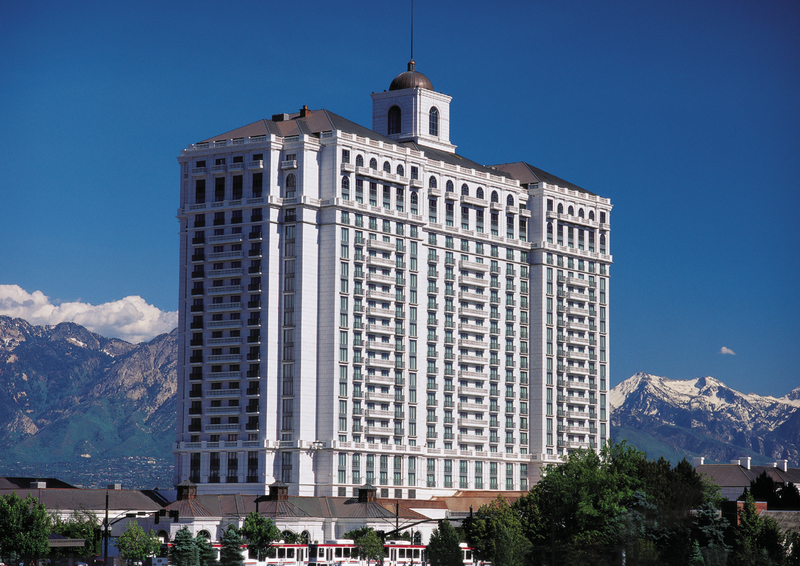 The resort became the prototype for world-class ski areas in North America. 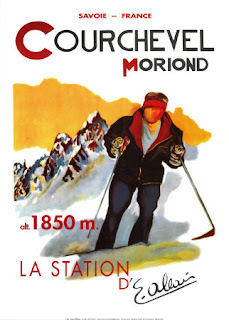 In Europe, the first real mountain ski resort was Megève in the Haute Savoie region of France, its development coinciding with the first ski lift in France in 1933. 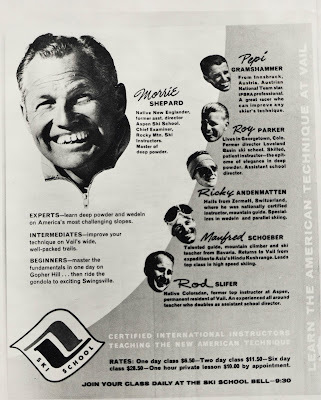 The Winter Olympic Games of 1936 held in Garmisch-Partenkirchen in Bavaria, Germany included both downhill and slalom races, and further raised the profile of the sport. The growth of skiing was dampened by the Second World War but, after the war, skiing in a mass tourism context began to emerge. 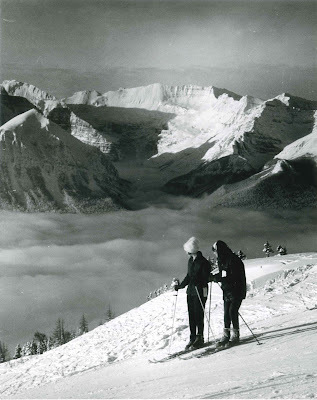 Inspired by the military role that skiing played in northern combat areas (my own father learned to ski in the army), skiing was introduced to thousands of returning troops as a form of winter recreation. 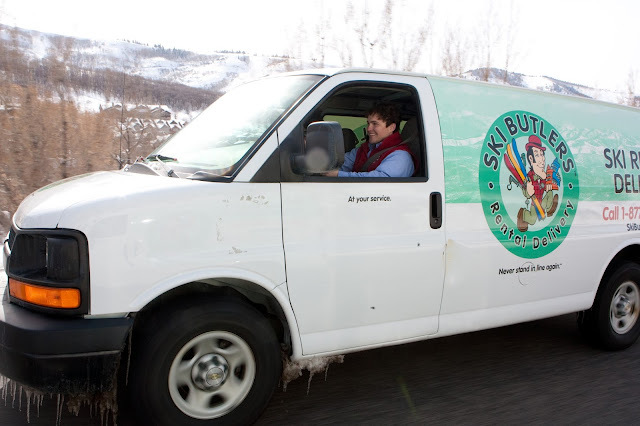 Meanwhile better access to ski destinations was brought on by the development of family automobiles and rising standards of living, and rapid improvements resulted in safer and more comfortable ski equipment. By the late 1940s and early 1950s, the second phase of ski resort development took place in France with the opening of resorts such as Courchevel, Méribel and Tignes. Off-slope amenities for skiers began to emerge, with lodging, culinary experiences and entertainment becoming important components of a ski vacation (Tanler, 1966). 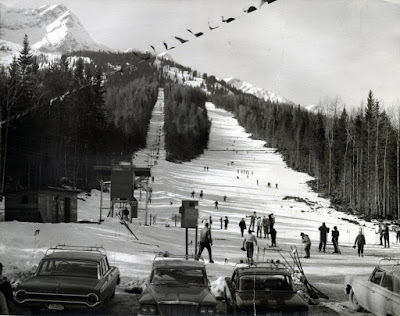 The invention of snowmaking in the 1950s gave a further impetus to the growth of ski facilities, a technological development that not only lengthened the duration of a ski season, but also made the sport possible in areas where natural snowfall was less than abundant. 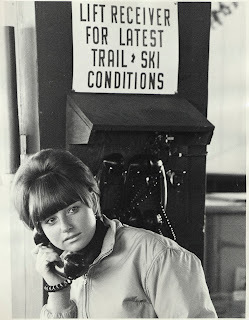 The 1960s saw the start of the great ski boom. Europe witnessed the creation of a new generation of fully integrated ski stations, while in North America, larger resorts in New England, Colorado, California, the Canadian Rockies and the Eastern townships of Quebec emerged to meet the growing demand for winter vacations. 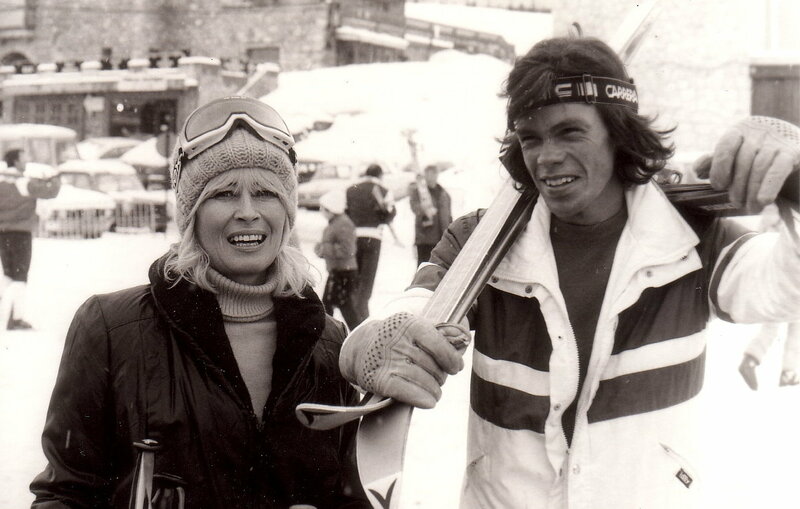 Wooden skis and leather boots were slowly phased out and replaced by metal and fibre glass skis and plastic boots. While the 1970s were a period of massive market and product expansion, the 1980s presented a decade characterized by industry consolidation and product management (Williams, 1993). Influenced by changing demographics, ski markets began to mature. By the mid-1980s ski facility supply had in many regions outstripped demand, and many poorly managed ski destinations were experiencing financial difficulties (Kottke, 1990). 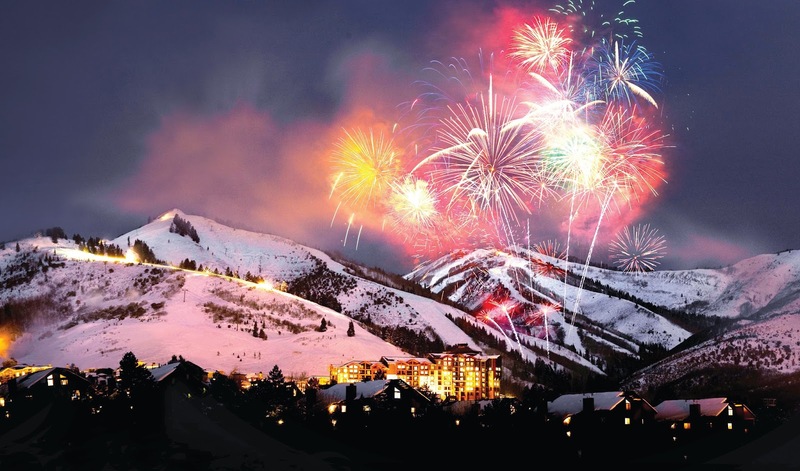 In response, destinations were forced to address both product and market issues in a more business-like fashion, and a more tourism-focused approach to ski area development commenced. Larger ski centres with tourist, rather than resident, ski markets continued to grow, while many small centers faltered. 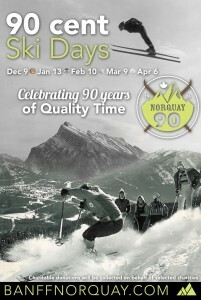 Consequently, between 1980 and 1990 the number of ski areas dropped by 18 per cent in North America. Counteracting this trend, ski area capacity expanded by approximately 50 per cent during the same period. jacket, tie-dye fleece and long straight skis! In the 1990s the greatest impact on the ski industry came from the snowboarding boom. One of the disadvantages of skiing at the time was that it was technically very demanding at a high level of performance. Unless they started at a very young age, the average recreational skiers taking an annual week’s ski holiday could not develop the skills necessary to ski steep, fast runs, big bumps and deep powder snow expertly. However, a snowboarder could learn to stay upright and turn after one morning, and tackle powder within a week. Such a high learning curve led many skiers to cross over to snowboarding, with over 60 per cent of snowboarders in North America in the 90s having skied before they adopted boarding (Spring, 1997). 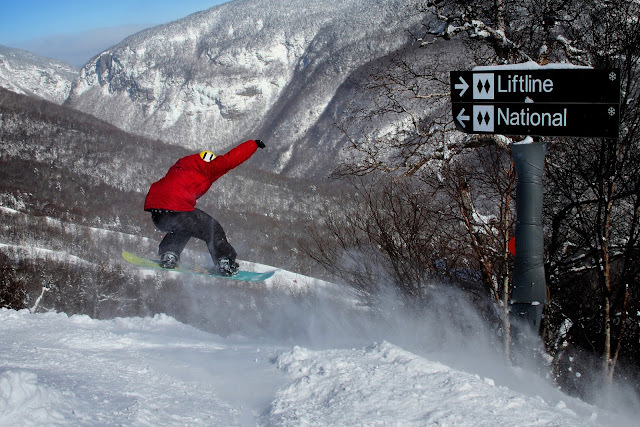 Snowboarders now represent around 30 per cent of the market for most ski resorts. 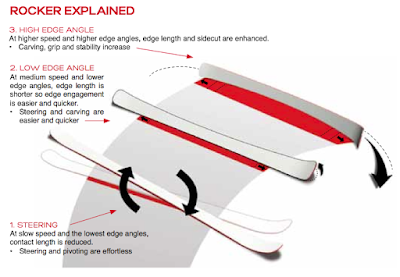 The arrival of ‘shaped’ skis on the market was another big influence on the industry in the 1990s, dramatically impacting the learning curve for skiers. Deep sidecuts to help skis carve short, clean turns had been sneaking up on the industry for a century, but in 1991 Elan came out with a Sidecut Extreme (SCX) ski that had a 22.25mm sidecut, three times what most racers were using for slalom at the time. The ski performed extremely well on the race circuit, and then in 1993 Elan sent out the prototype SCX to ski instructors in American resorts and the reaction was extremely positive. The instructors couldn’t believe what a fabulous teaching tool the new skis were – beginners and intermediate skiers were able to carve turns almost immediately after trying shaped skis. 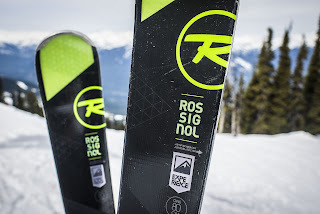 Manufacturers like Rossignol, Atomic, Fischer and Head followed suit, designing sidecut skis of their own, and by 1997 shapes had proliferated in all directions. It was possible to buy deep shapes, moderate shapes, race shapes, carver shapes, powder shapes, expert shapes, learn-to-carve shapes and learn-to-ski shapes. In fact, shapes were so radical by the turn of the century that the International Ski Federation had to impose limits on the size of sidecuts used in ski races. The 2000s witnessed a general maturity of the industry. Total skier visits fluctuated around the 400 million mark during this decade, with the 2006/07 season characterized by particularly weak demand due to unusually warm weather in the Alps. Visits were steady as major mature markets (like the U.S., Canada and the Alpine countries) stagnated or declined, as was the case of Japan, while other markets were emerging, such as China and Korea. The 2000s were also characterized by diversification in the industry. An increasing proportion of those taking winter sports holidays on a regular basis were not skiing at all. Secondly, even avid skiers were typically skiing less. On average they were somewhat older, and new high-speed lifts enabled skiers to attain their physical stamina quotient much more quickly. 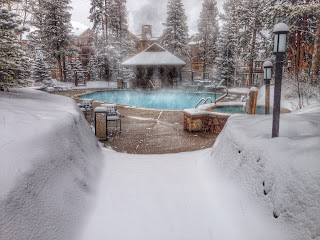 So winter resorts realized that they had to offer more activities than just skiing and boarding, both on- and off-snow. The more progressive resorts began to expand the range of activities they offered, such as ice-skating, snow-scooting, sledging and dog-sledging, ice-driving, paragliding, snowmobiling, and tubing (the increasingly popular activity of sliding down the slope on the inner-tube of a truck tire). Many resorts – Verbier in Switzerland is one example – also looked to enhance the efficiency, quality and profitability of their restaurants and shops. The market for in-destination services in general is vast. According to Euromonitor International (2014), it accounted for almost $2,000 billion globally in 2013 - significantly larger than the transportation and travel accommodation markets - and it is expected to record a strong eight per cent CAGR (compound annual growth rate) in the 2013-2018 period, to reach $2,800 billion. In addition to diversifying their product offerings, destinations are also positioning themselves as more than a place to visit, attempting to expand economic development by attracting new businesses and new residents. 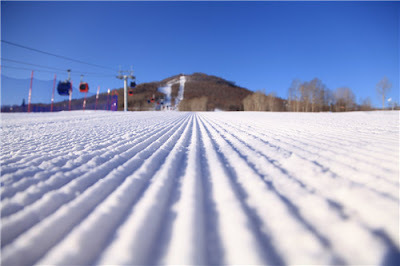 Stowe in Vermont, for example, is currently regarded as one of the most tech-friendly towns in the U.S., according to Google. In its second annual award program, Google named Stowe as the 2014 eCity for the State of Vermont. The eCity Awards recognize the strongest online business communities in all fifty states, communities that are embracing the web to find new customers, connect with existing clients and fueling their local economies. Stowe is now home to a robust array of businesses that have created growth and advanced the digital economy in the state. Stowe’s recognition as Vermont’s eCity is also built upon the many small businesses that are participating in e-commerce and the technology industry throughout the community.